Hi everyone, thought I'd quickly check-in and share with you a very brief snow report direct from the French Alps. Yesterday morning I drove across from Méribel to Val Thorens (also in the 3 Valleys ski area) for my first ski of the winter. 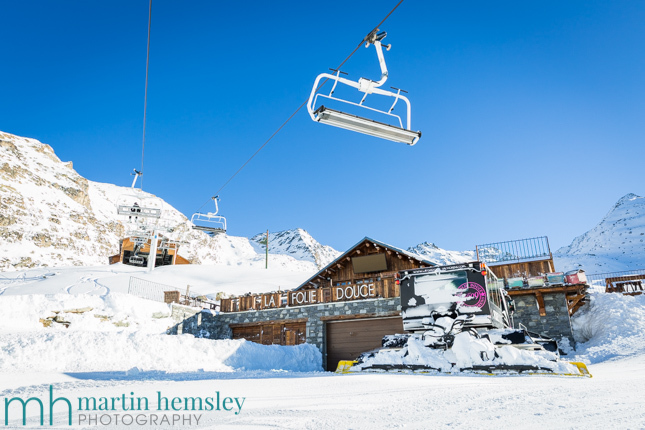 The reason for driving is that we are still two weeks away from the Méribel ski lifts from opening. So what was the snow like? In short, sublime, awesome, surprisingly brilliant and any other positive adjectives you can think of. Granted the first ski of the season, or the first day of anyone's holiday, is always going to have that extra sparkle. But my goodness it was good, aided by glorious weather. I'm sure if you've been taking the odd sneaky look at webcams recently you would've seen some unpleasant sights, mainly because all of last week the weather was shocking. But oh boy I had a great time yesterday. 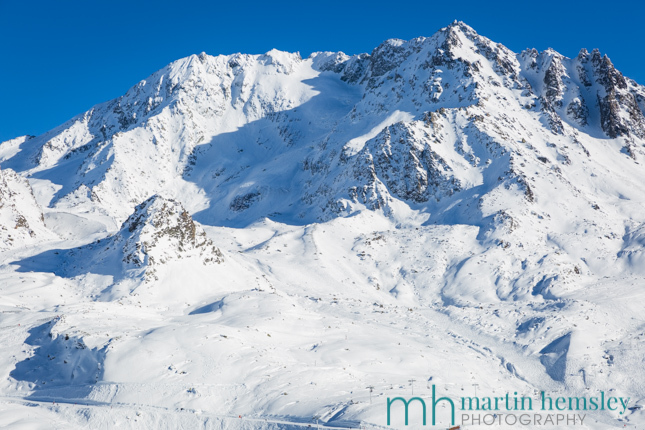 This photograph shows the Peclet area of Val Thorens including the Moraine and Portette chairlifts. Again, the snow was great, but very chilly at times! I'd like to give a more detailed report in a couple of days time, because I plan to treat myself and go for a ski over in Val d'Isere and Tignes tomorrow. In the meantime, have a great weekend and do come back soon for more photos from the Alps. Martin.